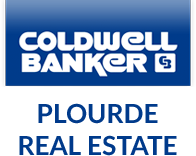 Founded in 1989 by Don and Irene Plourde, Coldwell Banker Plourde Real Estate began with two agents and has grown to over 25 professionals. Today, we continue to expand and provide our customers with the best service in the area. Coldwell Banker Plourde Real Estate is recognized as one of the top real estate agencies in Central Maine for residential and commercial real estate sales. With the resources of one of the largest real estate organizations in the world today behind us, and a name that you can trust, Coldwell Banker Plourde Real Estate will assist you in achieving your real estate goals. Whether you are interested in buying, selling, or leasing real estate, call or email our office today. We are ready when you are! Giving back to our communities is an important part of our philosophy here at Coldwell Banker Plourde Real Estate. Whether helping to build a home with the local Habitat for Humanity Chapter or helping raise money with local service organizations, our associates are involved. Each time we sell a property, a portion of the proceeds is donated to a local charity. This is just part of our commitment to our community. View our featured Central Maine real estate listings below or visit our advanced search page to start your search!